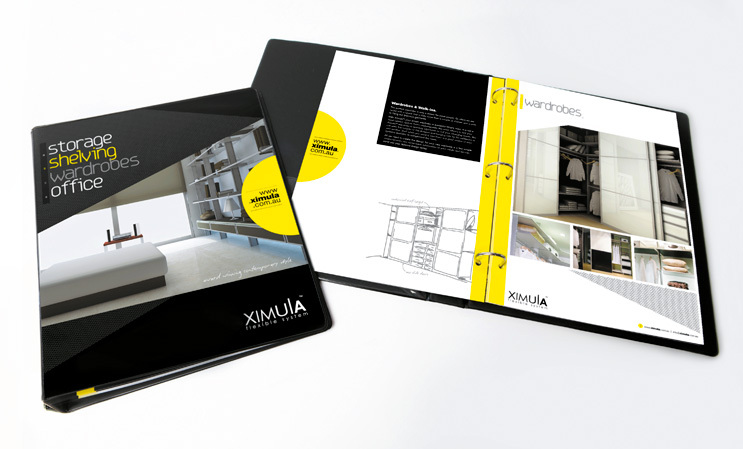 Originally a consumer product, Ximula approached us to grow the business into the commercial market. 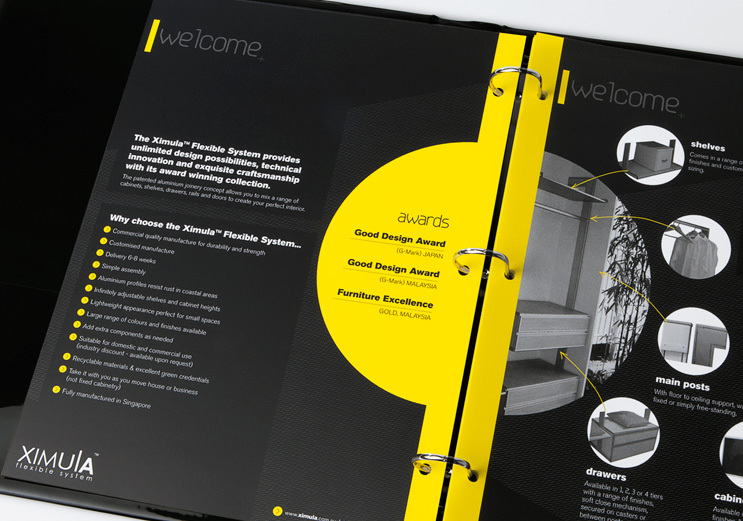 Our goal was to create a simple product folder that appealed primarily to architects – an opportunity where the client’s product could be considered as part of the initial fit out for commercial and residential plans. A bold colour palette and strong angular lines make this a striking piece on the shelf. Simple handmade annotations and drawings contrast with the technical aspects to give a sense of usability and sophistication.